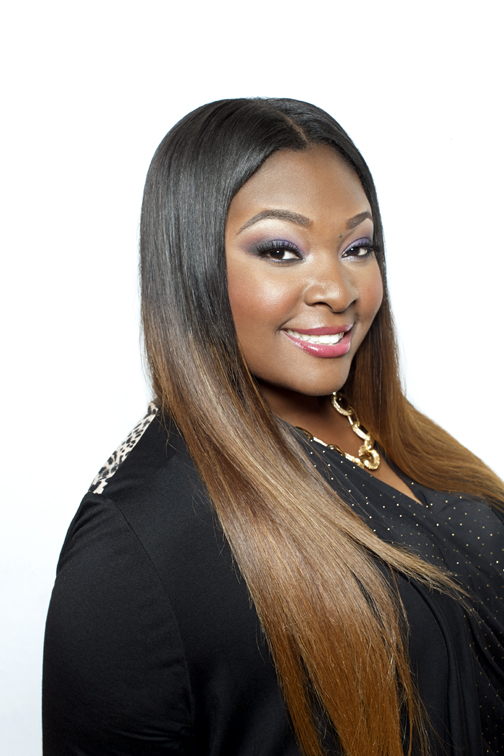 “Idol” Candice Glover dishes on drama, rejection & inspiring girls everywhere – Live! Starring ... You! When the 13th season of American Idol kicks off Jan. 15, millions of fans will be watching thousands of singers scream for joy, cry over criticism, and hope for Hollywood. Sounds like a lot of drama, right? 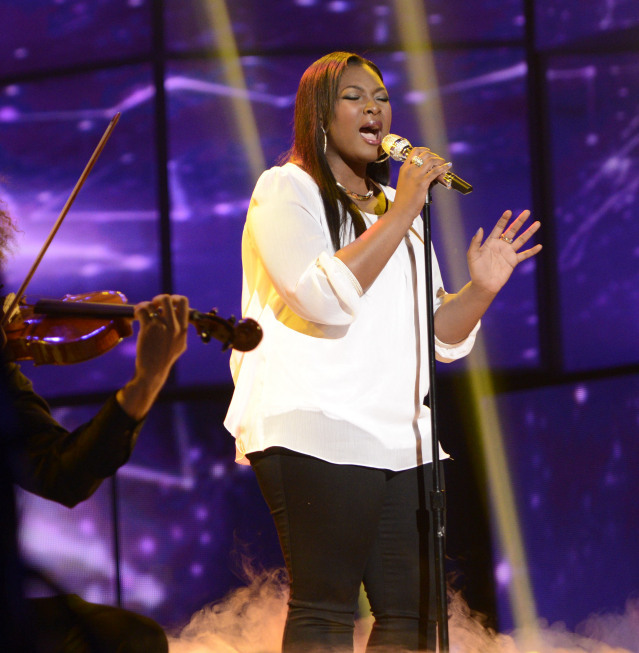 That’s part of the experience, says Candice, who was rejected for seasons before finally securing a finalist’s spot. With the pressure came success – her debut album, Music Speaks, will be released by Interscope next month – but how does Candice deal with life after the show? What are her hopes for the future? Find out in our interview with Candice, which took place before her performance at the Progressive Skating & Gymnastics Spectacular. Here’s an edited version of our conversation about her uphill battle to become a winner. What are the biggest misconceptions people have about the American Idol experience? Candice: People think that we all are pretending to like each other. We actually really do. We are a big family. Everybody supports each other. I think that it’s a lot more drama than people think it is. People think it’s kind of fake, like the drama is fake. But is a lot more exaggerated than people see on TV. But at the end of the day, it’s a really good experience to get you ready for the music business and just to be yourself and be confident. Are you saying that in reality there is a lot of drama? Candice: You know in Hollywood Week, there is a lot of drama, but it’s worse off camera. There are a lot of things that they don’t show or that they don’t catch. There are tears. There is falling. There is passing out. There is a lot of different stuff. It’s just because the pressure of being on that show competing with other people. Two hundred of you go to Hollywood and then they need 10. It is a lot of pressure. What was your most dramatic or emotional moment? Candice: My roommate in Hollywood slept with the window open and it was freezing cold. I didn’t bring a jacket to California because I thought it would be perfect weather. I woke up the next morning and couldn’t say a word. I had auditions that day for Hollywood Week. I called my mom and I was crying; I didn’t know what to do. I think that those things prepare you for a performance. The pressure is always going to be there. Now that I have won the show, there is pressure to stay valid or pressure to keep your fans interested. If you have the talent and everything, it will work out. We know that in seasons 9 and 11, you were rejected. Can you tell us a little bit about that and how you bounced back from the rejection? Candice: Season 9, Simon Cowell hated me and that was his last year. So when he left, I took a year off and I came back in season 11, but I got cut again. The thing about it is that I knew that I had a gift, but you can always make yourself better. So, I worked on not caring so much about what people thought about me. I was trying so hard to get people to like me, and that’s why it came across as not genuine. I just came back and had like a take-it-or-leave-it attitude and it worked out. Since winning American Idol, what do you think are some of the biggest misconceptions about the music industry? Candice: People think that I am always happy and always joyful. Celebrities are real people too. They go through things and they are normal people just like anyone else. I think that is a misconception. Also, when I do say something or when I complain about something on Twitter, people don’t know how to handle it because I’m supposed to be, like, this jolly person because I have such a great life. That’s a really big misconception. To all the kids that want to be famous, it is a lot pressure and a lot of hard work, but if you have the talent and you have the drive and determination then you can definitely get where you need to be. Don’t ever give up — that is my testimony. We know that you wanted to be a counselor. Can you tell us how you reached that idea and how you are going to make that dream possible? Candice: I want to help anybody through music. I was not always the most confident girl. For every girl in her teenage years up to those in their 20s, sometimes you feel as though you are not as pretty as the next girl. You feel like somebody else is prettier than you. More than anything, I want to do stuff for teenage girls dealing with low self-esteem, to let them know I have been through all of that. I want to go to schools and talk to them about being beautiful. I really do believe that everyone is beautiful in their own way. I want to help everybody with that. I know how it is to feel like you aren’t good enough, especially after being cut twice. You start thinking twice about your talent and whether you’re good enough. I just want to let everybody know that they are. It seems like a lot of people in the performing arts have gotten bullied. Were you? Candice: I got bullied all the time on American Idol. Not by the other contestants, but on social media. There’s always going to be somebody that’s going to not have a good opinion about you. You just have to roll with the punches. Even in school, when I would audition in school for talent shows and stuff, and there would be people who would tease you: “You think you’re all that because you can sing?” Or, “You can’t sing that well.” Or, “You’re never going to be anything.” Everybody goes through stuff like that. And I’m pretty sure you get a lot of “no’s” before you actually get a “yes.” I think in the long run that helps. It makes you work harder to be better at whatever it is you do. It must be hard to get to the point where you can let that criticism roll off you. Candice: I was just talking to my manager about that. Nobody likes to be bullied. Nobody likes to be told constantly that they’re not pretty, that they’re too fat, that they’re never going to make it anywhere. You don’t like that. I had never been on TV, obviously, so I didn’t know all that came with it. When it did, I wanted to find everybody on social media who said that to me and fight them. But it comes with the job. And everybody has to get to the point (where you realize) people are going to say whatever they want to say to make them feel better about themselves. You have to let it roll of your back and keep doing what you’re doing. Obviously if you’ve made it, that means you do have a talent and you’re gifted. Do you feel like you’ve reached your peak as an artist? Candice: No. People think because I won American Idol I’m on the same level as Beyoncé. But I still have a long way to go. I love to work hard and get everything the way I want it to be. I feel I do have a long way to go as far as my career and my success. I’m making some real good music. So February 18, when the album (Music Speaks) comes out, I hope people enjoy it and they’re satisfied by it. LSY! founder Tim O’Shei contributed to this interview.